Rent Proud Mary's Restaurant and Lounge | Corporate Events | Wedding Locations, Event Spaces and Party Venues. We are a waterfront restaurant that closes daily at 2:00 PM and offers our venue EXCLUSIVELY for private banquets such as receptions, rehearsal dinners, corporate parties,etc. GUEST HAS A PRIVATE WATERFRONT VENUE. - VENUE IS AVAILABLE FOR PRIVATE BANQUETS AFTER 3:00 DAILY. Location: Within 10 minutes of Laguna Beach, San Clemente, Laguna Niguel, Alliso Viejo, San Juan Capistrano and within a 1⁄2 hour of Laguna Woods, Newport Beach, Irvine, Lake Forest, Oceanside, Corona del Mar, Santa Ana, Costa Mesa, Huntington Beach and Carlsbad. No worries mate! Whether it is a casual business meeting, family celebration or romantic get‐away you desire, Proud Mary’s is available for rent for private late afternoon or evening events. 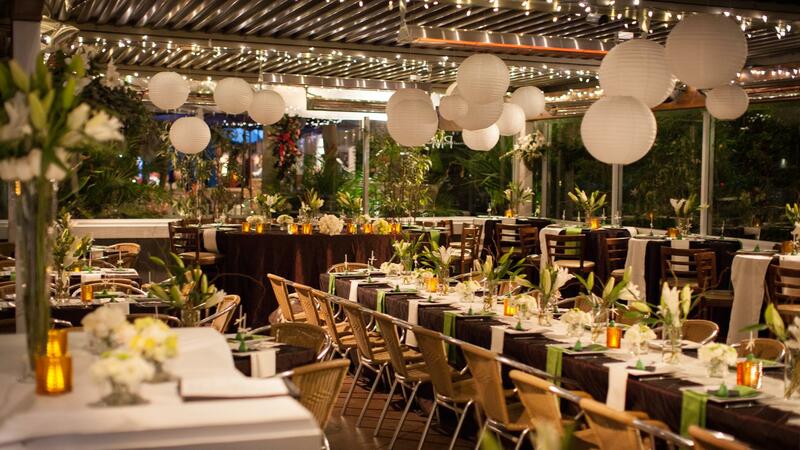 Our WATERFRONT patio equipped with retractable roof, sliding windows and overhead infrared heaters offers a unique alternative to the standard banquet room. Groups of six to 120 will be treated to a personalized meal, freshly prepared by our talented chef and served by our friendly staff. The theme décor and entertainment options available are only limited by your imagination. Our knowledgeable event planner is ready to assist in making your event worry free, memorable and will make every effort to exceed your expectations.